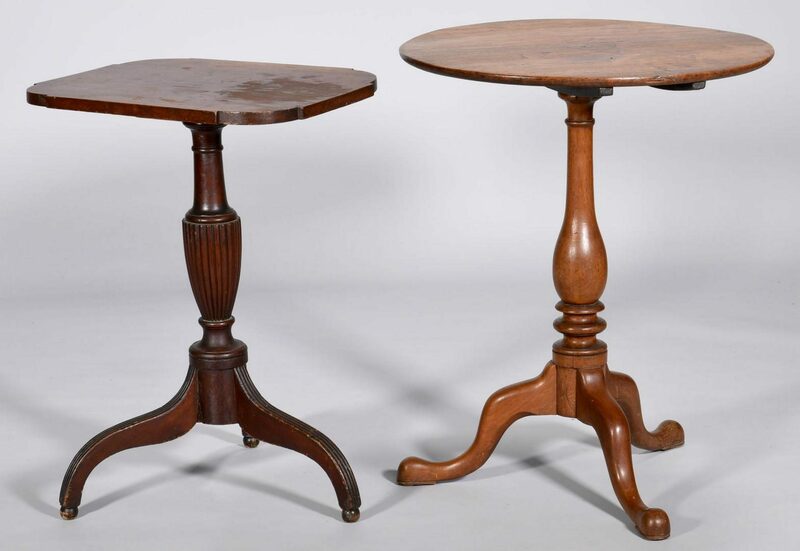 1st item: Transitional walnut tea table, attributed to Tennessee, circular tilt top over a vasiform standard with ring turned base, three cabriole legs ending in pad feet. 28 1/2"H, top 23 1/4" x 22 1/2". 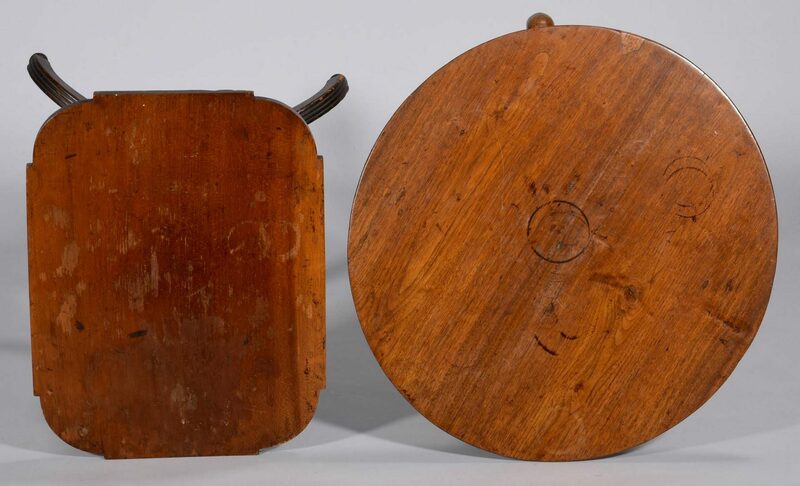 First quarter 19th century. Descended in an early Davidson County family to current consignor. 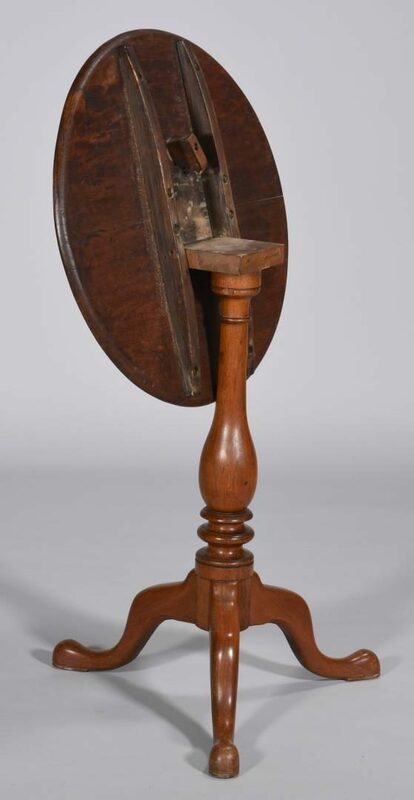 2nd item: Sheraton cherry tilt top candlestand, attr. 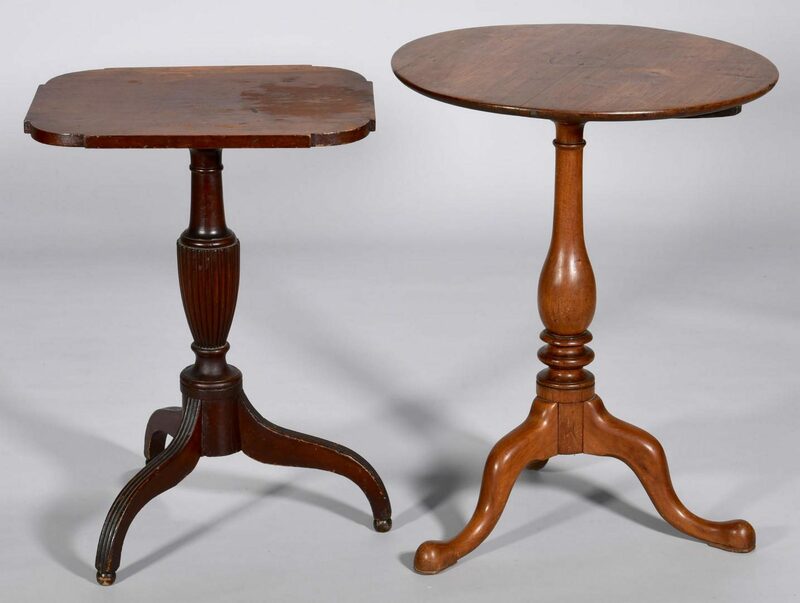 Kentucky, with rectangular top having shaped corners, over a reeded vasiform standard and three reeded legs ending in ball feet. 27"H x 20" W x 15" D. Provenance: Private Middle TN collection. CONDITION: 1st item: Legs replaced. Top has ring stains, a 1 1/2" patch and some scratches and white marks, and an old repaired split. One replaced screw on underside battens, block possibly replaced. 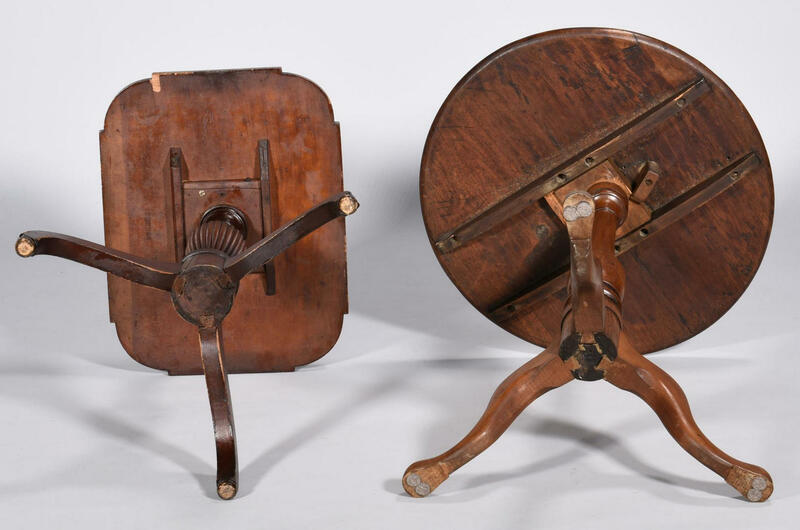 2nd item: Top no longer tilts, repaired break to 1 leg. 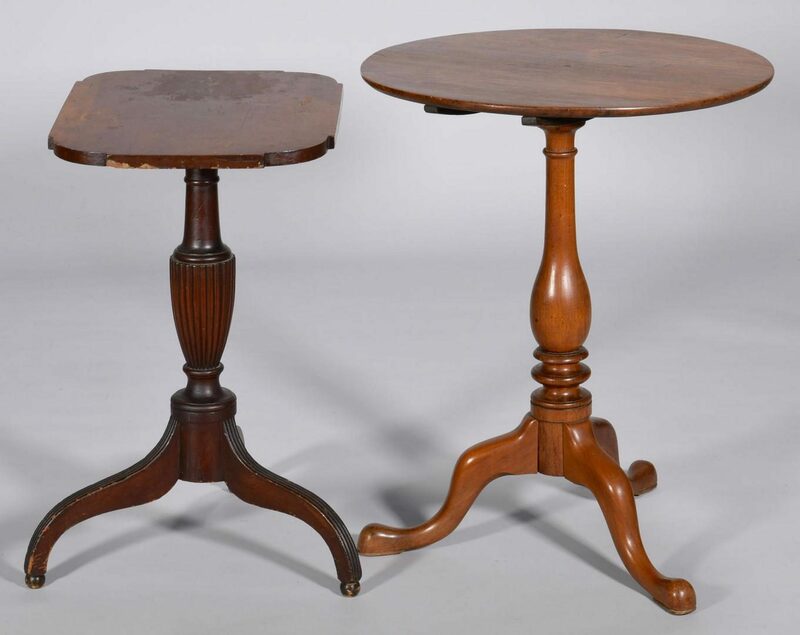 Pedestal and legs have original surface, but top has worn, possibly later surface with some minor stains and abrasions. 1/2" to 1" loss to underside of top. Wear, abrasions and small losses to legs.